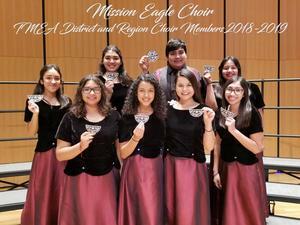 Eight Mission Eagle Choir students spent the first Saturday of their Fall Break rehearsing and performing with the TMEA District Treble and District Mixed Choirs at UTRGV. These students worked very hard to earn places in their respective choirs and we are extremely proud of them. Click on the title for full story. 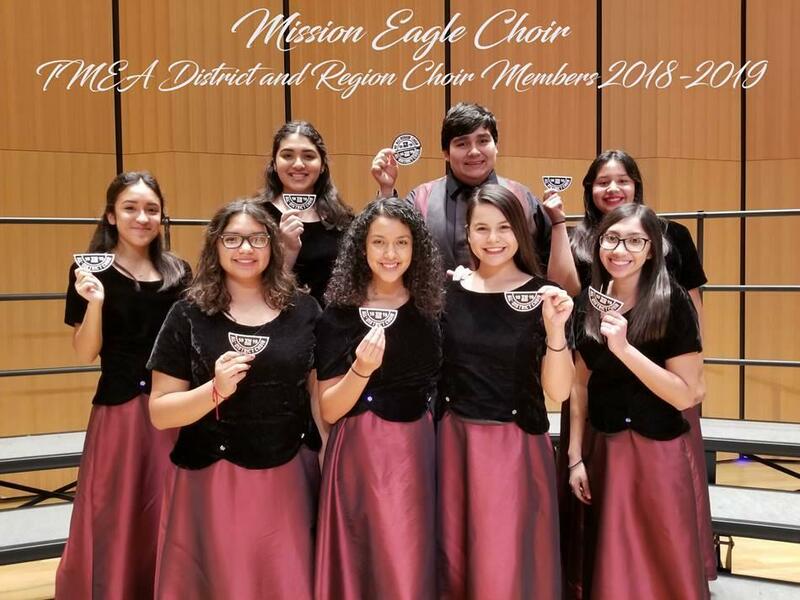 Additionally, Nathan Cavazos has advanced to the Area round and will be auditioning for the TMEA All State Choir on Saturday, January 12th at Rowe High School.